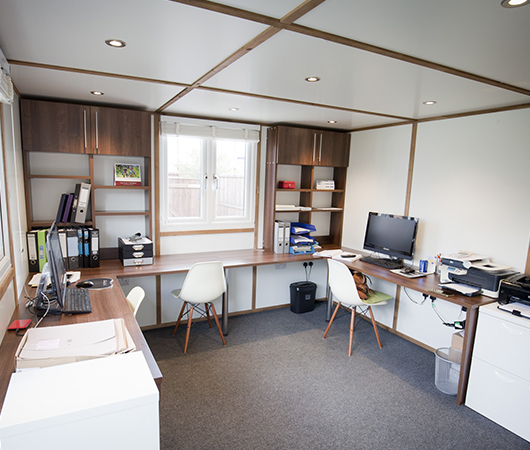 Personalised to provide a new home working environment for the team at Crystal Property Cleaning, this Quarto provides a comfortable and ergonomic office design with plenty of adequate working space for three people, along with amenities, outside of the home environment. The second entrance completes a separate area where the company have been able to install utility services and cleaning equipment, which enables them to offer a full cleaning service to their clients. 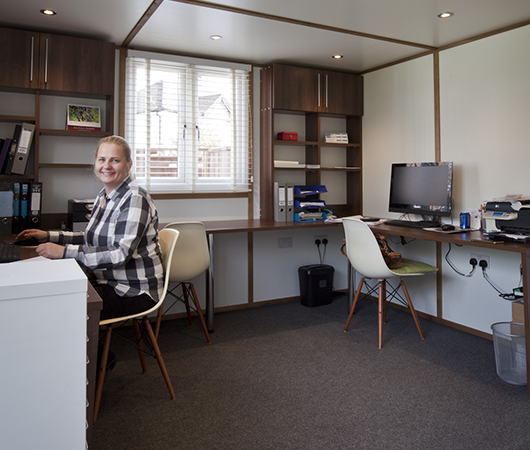 The clever use of internal partition walls has created a cloakroom and kitchenette area, sheltered from view at the front of the building, but easily accessible for the comfort of the whole team to work outside of company owner Anna’s home. 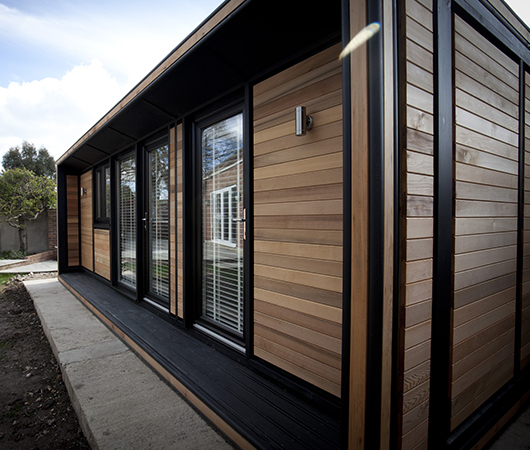 The combination of double windows combined with unlimited floor-to-ceiling double-glazed windows not only allows plenty of natural light into the room, but assists in allowing plenty of wall space for walnut-finished desks and over desk cabinets for storage, all manufactured and installed by the Smart team. 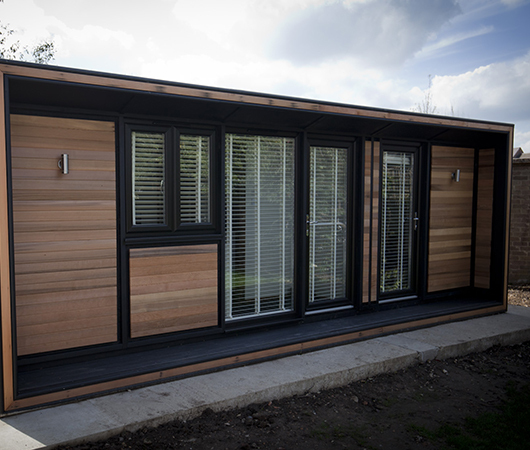 Finished with Anna’s choice of fitted wooden venetian blinds in soft cream and contemporary external lighting, the stunning cedar inset portico is a beautiful feature of the garden all year round, while creating the perfect office for the whole team. 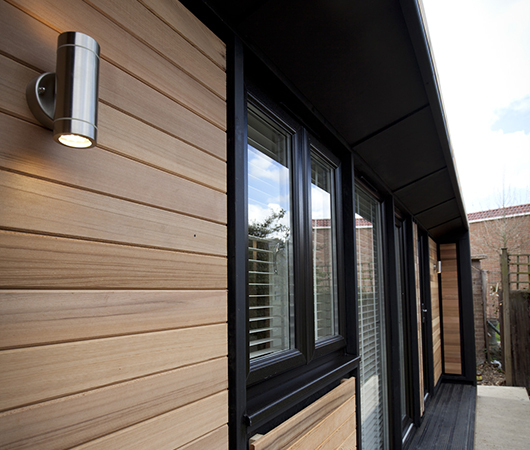 "Your service was excellent from concept to build; you could not have been more helpful. 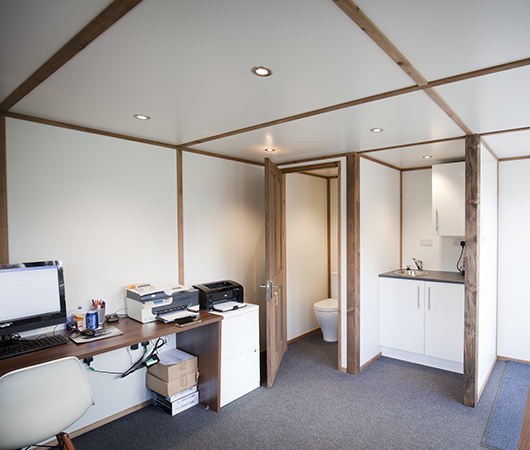 The build itself was breathtaking"
"The office is now part of the furniture and is great. I am 100% glad that I did it and went with you guys." 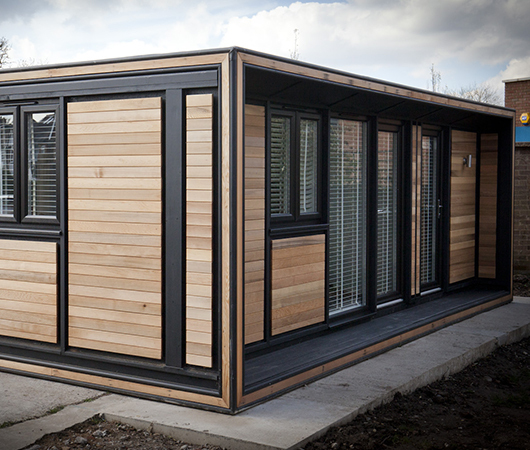 "Having my own Smart Garden Office has enabled me to expand our office space while continuing to work from home. I love the style of the Ultra and it is a comfortable environment for me and the whole team to work in all day. 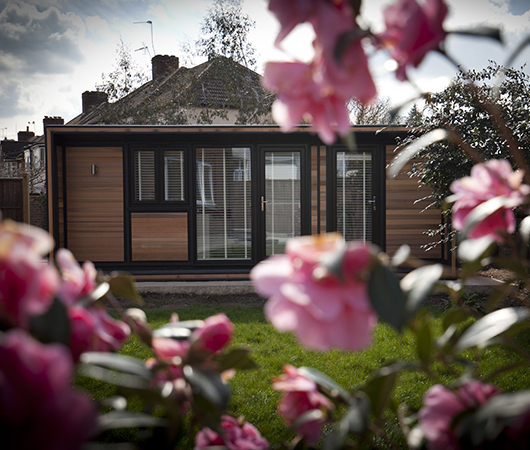 Smart installed our office in two days and the minimal disruption to our work was invaluable."